Biohacking: Nectome’s Brain Preservation and Backup Service Plan « Adafruit Industries – Makers, hackers, artists, designers and engineers! Perhaps as we approach the singularity we should just expect to see a multiple companies jumping into brain uploading space. Nectome is a new company that has come up with an advanced brain preservation system. 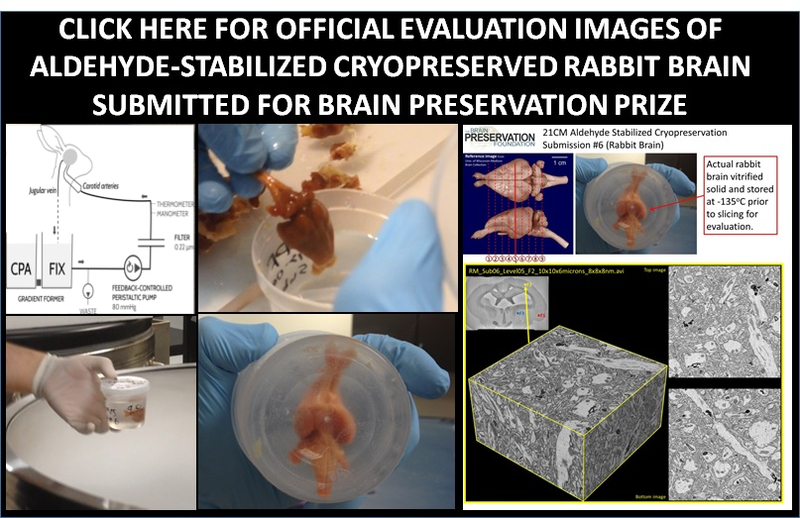 The company won the Brain Preservation Foundation Challenge two years ago with a rabbit brain that they stabilized. They are using a novel solution starting with the toxic chemical glutaraldehyde and combining it with cryopreservation. Their system worked leaving the brain synapses and neurons intact and visible when viewed with a electron microscope. This could be the ground work for mapping the connectome. Now Nectome is in crazy startup mode and part of Y Combinator. The company already has nearly $1 million in funding of their own and another federal grant for nearly another million. In the short term there are commercial possibilities for quality brain imaging. Thinking more long term Nectome does not have a storage service, but they have allowed for people to sign up for a fully refundable $10,000. There have been over 25 people that signed up for their service. It is important to understand that Netome’s approach is to put a brain in a toxic bath of chemicals. This means death is a prerequisite to using their service. In February of 2018 Nectome made arrangements to exquisitely preserve a women’s brain just 2.5 hours after death occurred. This was considered a trial run for their possible future preservation service.